Today when I browser web pages, I read an article about the software :docPrint Document Converter Professional V5.0 . 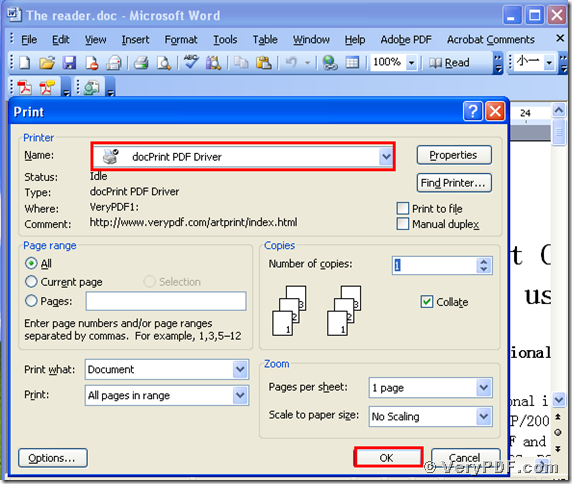 It said that the software has a virtual docPrint PDF Driver, which can print Word to postscript file. The process is simple and short. Here I will tell you how to operate this function. 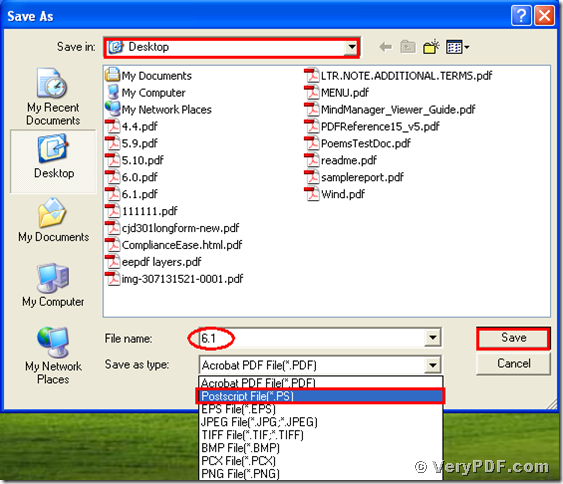 Open your file ( The reader.doc), and click “File” – find “Print”-click “Print”. 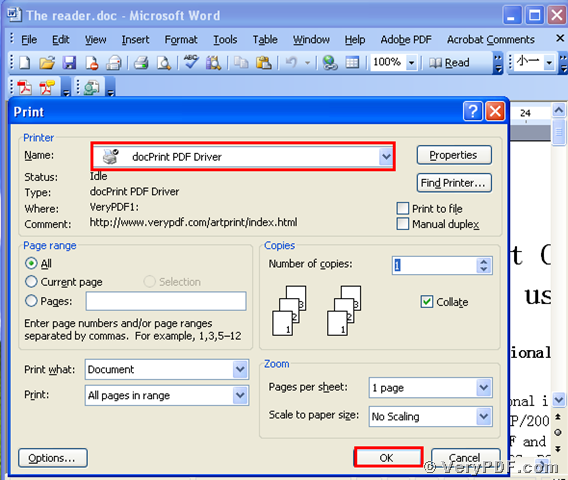 Then it will pop up the dialogue “Print”, you just need to choose the virtual print “ docPrintPDF Driver”, and click the button “ok”. Please look at picture 1. After you click the button “ok”, it will pup up a dialogue “Save As”. Please select the type “Postscript File” and input the file name “6.1” in the blank. At last, save the change. Please look at picture 2. Separately open the before and after changing files, you will find that we had already printed Word to postscript file. Please look at the screenshots in the bellowing. After viewing the process , the operation is very easy, isn’t it ? 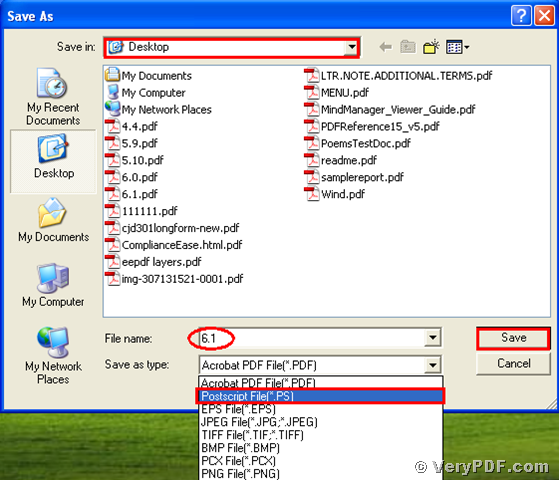 If you want to know more about it, you can go to this website http://www.verypdf.com/artprint/document-converter/help.htm and refer to the user manual. Or just visit the website:http://www.verypdf.com/wordpress/. Thanks for your reading. This entry was posted in docPrint Pro and tagged docPrint PDF Driver, document converter, Word to Postscript. Bookmark the permalink.